CLEET licensed Oklahoma Private Investigator. I am also an Instructor on NHTSA approved classes for SFST, and DUI Investigators. ^ years experience in Criminal and Civil cases. We’d like to introduce you to the Investigators of VALOUR,LLC. First – David Ballard. As an Army Veteran, Mr. Ballard was awarded various citations and medals, including the purple heart for injuries received in combat. Upon leaving the Army, David attended the SOR Training Center in Moore Oklahoma, where he would meet Paul and Susan Gordon, the owners and instructors of SOR. Paul Gordon, who is a Marine Corps Veteran, a retired 2nd Lieutenant of the Oklahoma Highway Patrolman, and served with Dyn-Corp in Bosnia-Herzegovina as an investigator of the International Police force would became a big part of David’s training and the success of Valour. The next step for David was working on Homicide defense cases in Lawton Oklahoma, with favorable outcomes including two not guilty verdicts. Paul started the DUI Investigator/ Analysis program in 2013. 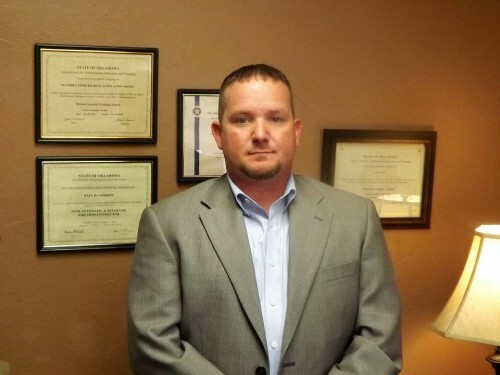 David became the first DUI investigator in Oklahoma and would soon after take a full time position with one of the premiere DUI firms in Oklahoma City. 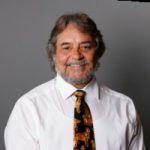 During David’s time at the firm he would work on nearly 400 DUI and DUI Manslaughter cases. In the summer of 2017, David went back to full time president and he, Paul and Susan partnered up to expand Valour to an agency that offered full investigations into all criminal and civil cases. David and Paul recognized that Valour needed to join an association that could network with other Investigators working criminal defense and civil cases like Valour. David was directed to the National Association of Legal Investigators in early 2017. Since becoming a member of NALI Valour has networked with Investigators across the nation and worked cases along with other NALI members. In the end of 2017 Paul Gordon joined NALI as well. To date Valour Investigations has worked on over 800 criminal cases including homicides, assault, DUI, DUI Drugs, Manslaughter, and federal cases. Valour has also worked on over 200 civil cases from family to fraud as well as 9 Cold Case murders one of which was recently showcased on “Crime Watch”. We look forward to many more years of NALI Membership and networking with the best and most professional investigators in our Nation. David Ballard President VaLour Investigations LLC.